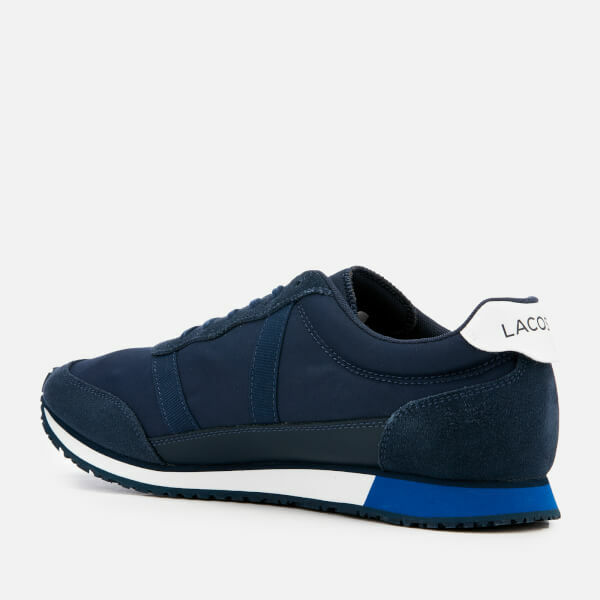 Panels of textile, leather and suede combine to create the ‘Partner’ trainers from Lacoste. 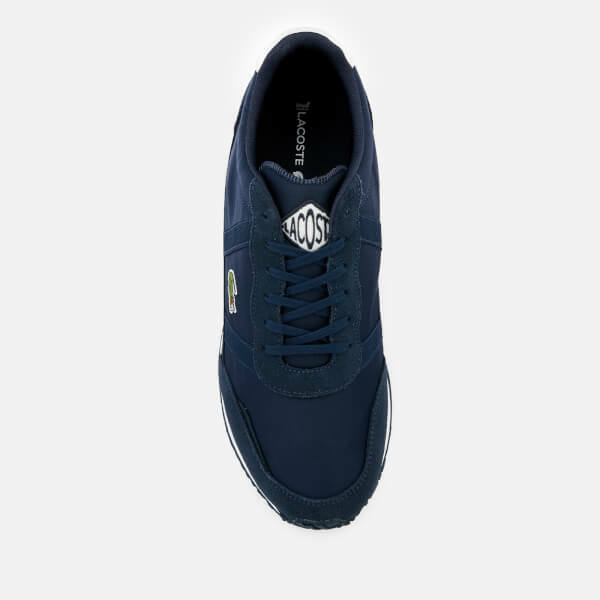 The navy low-top sneakers feature a tonal lace-up fastening, ribbon appliqué and a padded ankle collar for ultimate comfort. A contrasting segmented sole delivers grip and traction with every step. 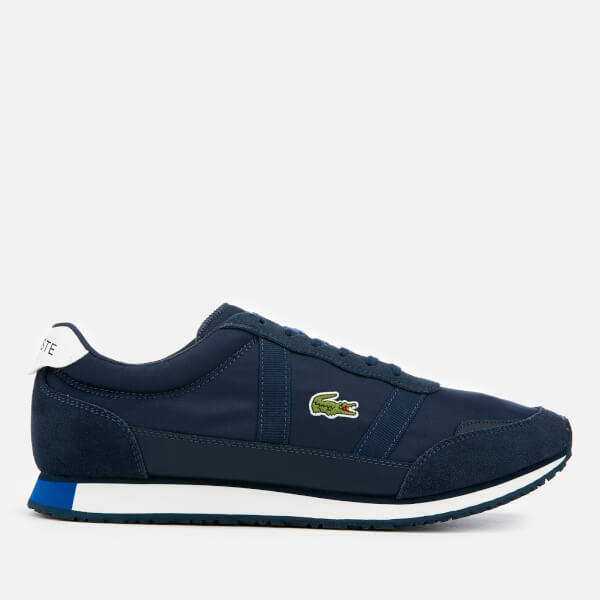 Iconic crocodile branding completes the design. Upper: Synthetic/Leather. Lining: Textile. Sole: Rubber.